After the successful mars mission ISRO has continued to make India proud.In 2014,India became the first Asian country to put a satellite into red planet's orbit.Its budget was as low as of a Avatar movie collection. 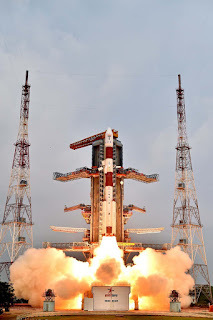 Once again India has proved that why it is recognized worldwide as a low cut option for satellite in orbit.On 28 April 2016 ISRO has launched its 7th and final satellite INRSS G-1 for its own version of GPS(Global Positioning System) from spaceport of Sriharikota in Andhra Pradesh on Thursday Afternoon.IRNSS-1G is 44.4 m tall and it has 1425 kg of mass.It has minimum 12 year of mission life. India has become 5th country after US,Russia ,China and Europe to have its own regional navigation system.Now India doesn't have to depend on another nation for military navigation system. 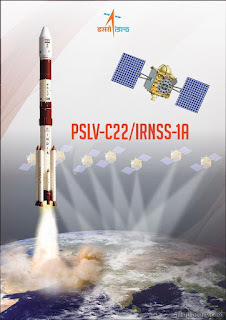 The IRNSS(Indian Regional Navigation Satellite System ) is similar to the global positioning system (GPS) of the US (24 satellites), Glonass of Russia, and Galileo of Europe as well as China’s Beidou. While GPS and Glonass are fully functional global systems, the Chinese and the Japanese systems are offering regional coverage and Europe’s Galileo is yet to be operational. All the six satellites are functioning satisfactorily from their designated orbital positions.According to ISRO officials ,the total cost for all seven satellite was Rs.1,420 crore i.e 150 crore for each satellite. For many years India has been totally dependent on GPS developed by US.However,they declined to share the information that could have helped the Indian Army to precisely locate Pakistani troop position during Kargil War in 1999.then the nation felt the need for an indigenous navigation system. 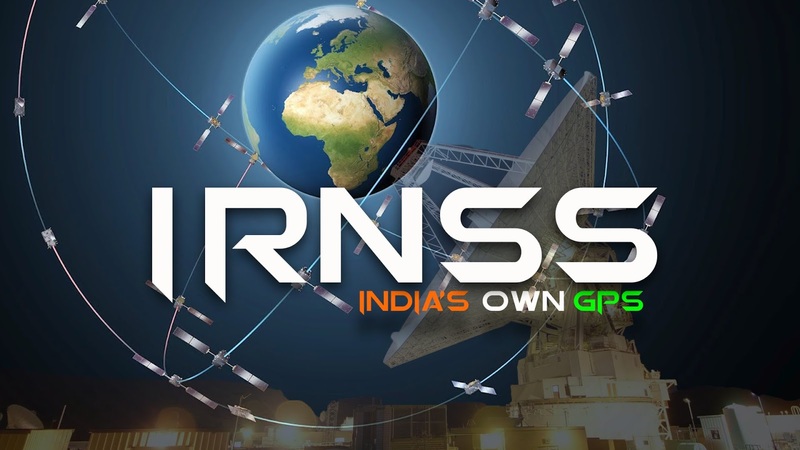 IRNSS will give two kind services:one which is open source and another which is stongly erupted and will be available to authorized users such military. Its application also include terrestrial and marine navigation,disaster management,vehicle tracking and fleet management. However we still can't use NAVIC (operational name of IRNSS) in place of GPS in our mobile because data is collected from satellite , integrated and then can be used. so we have to wait till our apps offer us something like this. Only after the system is declared operational, will user-end signal receiver makers seriously get into the manufacture of equipment for use at the retail end, industry officials told IANS. 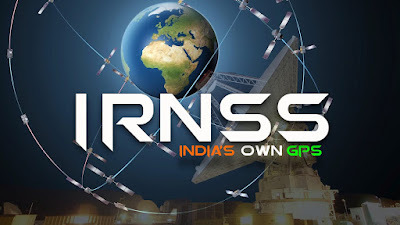 Ganeshan said once the IRNSS is ready then there will be more development of application software that would be useful for different segments.he further added "The Indian government should mandate the use of indigenous satellite navigation systems by various government agencies and the emergency service providers so that the signal receiver makers are enthused to get into accelerated production mode,". India’s space minister Jitendra Singh said on Wednesday that the country also plans to launch a communications satellite that will provide enhanced bandwidth connectivity to rural areas. The satellite will be launched toward the end of 2016 or the first quarter of 2017, he said. 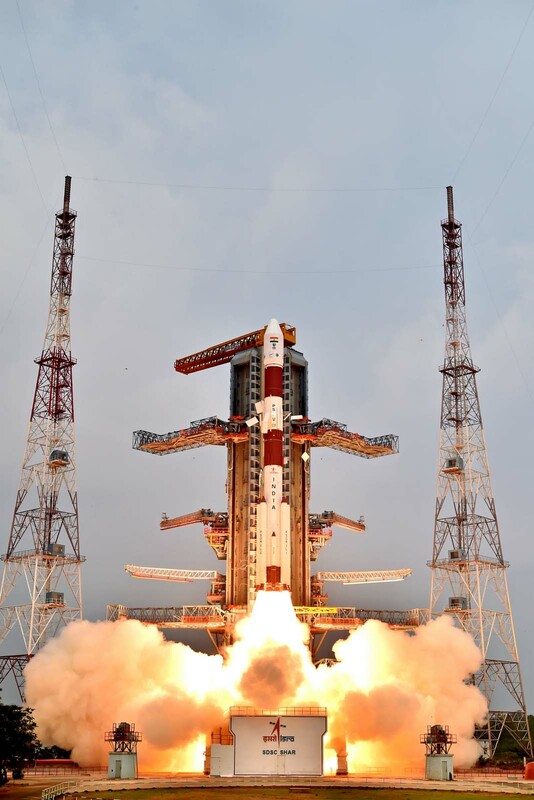 The ISRO’s rocket, the Polar Satellite Launch Vehicle, or PSLV, also carried five satellites from the U.K..The space agency said it was the thirty-fourth consecutive successful mission for the PSLV. ISRO plans to launch 22 satellites in another flight of PSLV including 19 satellites from four countries: 13 from the U.S., three from Germany, two from Canada and one from Indonesia, Mr. Singh said in Parliament on Thursday. Scientists are truly displaying the meaning of " Make in India", "Work in India" . It can be proved as NASA has invited India to collaborate on its mission to Mars. 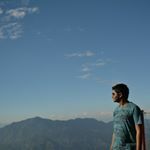 Liked this post ? Why not share your views below , and share this post with your friends too ?